Beer Me? No, Beer Mo! Throwing back a few beers and sharing a bunch of laughs is a recipe for good times. The New Beardo BeerMo’s just want to make them ever better…or sillier. 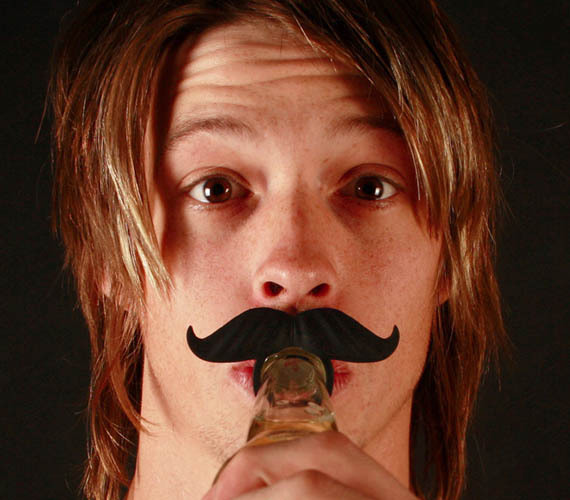 Simply clip a ‘stache onto any bottled beverage to add some class to your evening. Available in six colors (black, brown, hot pink, yellow, ginger, and St.Patriyk’s Day Green), all silly matters aide, they will make your bottle stand out from the crowd. Best of all, for every BeerMo order sold during November, Beardowear will donate 25% of profits to the Movember foundation to support prostate cancer research as well. My GOD these are the best!! Why hasn’t any beer companies put these in their cases????? I am getting some for Movember! Or…you could just man up and grow a real moustache haha.